For the past two Christmases, my gifts from Santa were Ikea bookcases – one case per year. 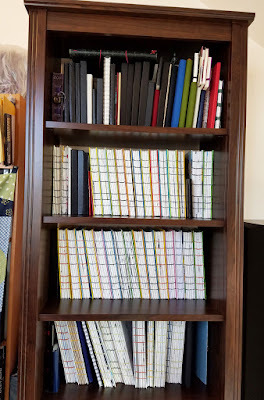 I had requested them to help me get my ever-growing collection of sketchbooks – which were starting to stack up on every horizontal surface, including the floor – in order. Until very recently, however, both bookcases remained unassembled in our basement in their original Ikea cartons because I realized I couldn’t move them into my studio until I took a bunch of unwanted stuff out. 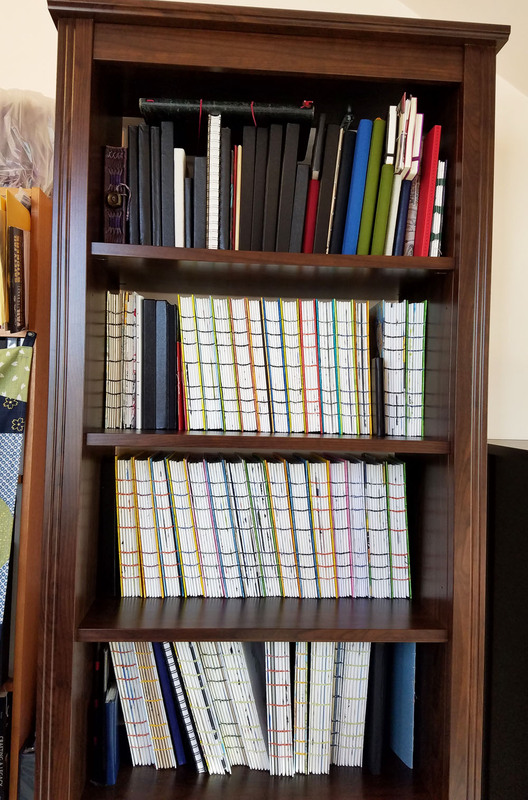 Arranged chronologically from top to bottom, the sketchbooks on the top shelf are a mish-mash of assorted sizes and types as I tried many, many books to find ones I liked. Several were only partially filled before I rejected them. The next three shelves look more uniform as I settled on my handbound books, with only occasional experiments with other types. 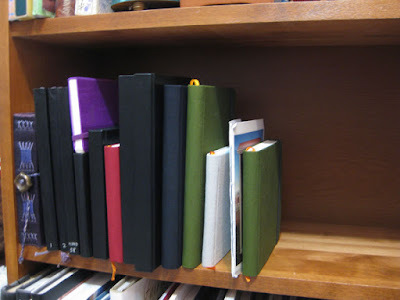 I left one shelf empty to hold future books, and the bottom shelf holds the larger spiral-bound sketchbooks I use at life drawing. Not stored in the bookcase at all are another dozen sketchbooks I keep on my work table for still lives and experiments with various media. 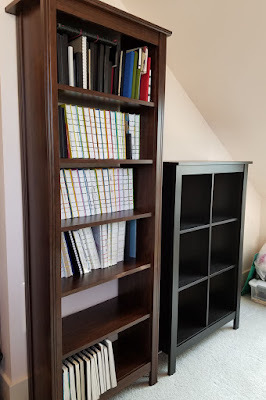 What about that whole second bookcase that remains empty? 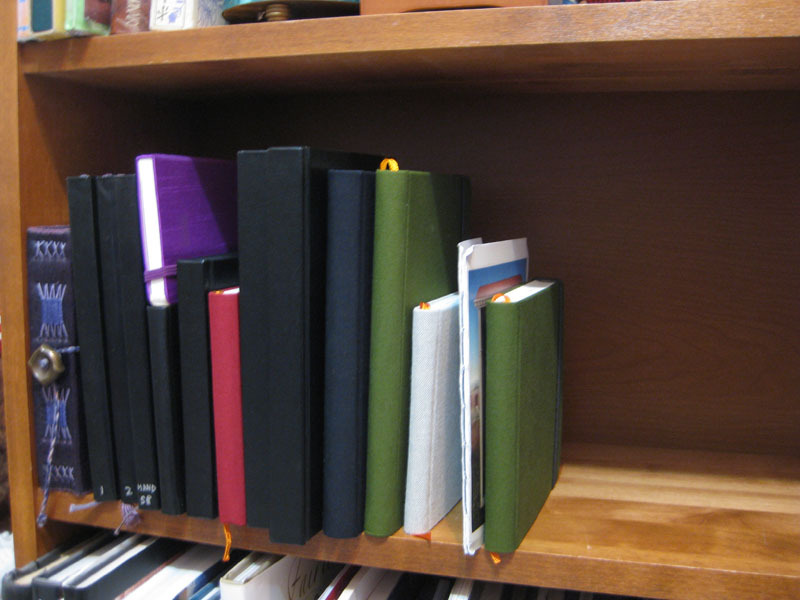 That’s for future sketchbooks, too. But I have plans for all those empty shelves in the meantime. Stay tuned. 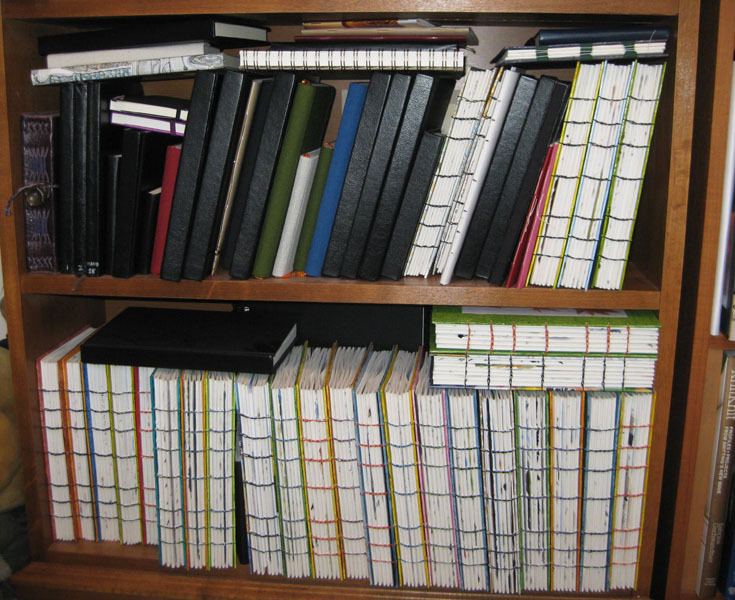 Shown below are photos I’ve taken over the years of shelves in another bookcase that I had been using previously to store sketchbooks. 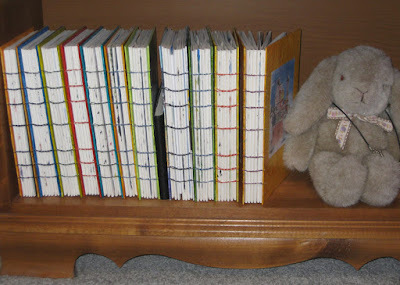 Your handbound books make it look so organized! Great look to this!